Plus Group founder Steven Saunders explains how technology will help kiwi fruit growers at Zespri’s inaugural Kiwifruit Innovation Symposium in Tauranga. Including Precision pH, Organic Matter and Soil Fertility Mapping, all for Variable Rate Applications. Smart Ag Solutions, which has been in operation for 12 months, has introduced a new precision soil mapping technology to New Zealand. The technology enables farmers to understand the different properties of their soils in far more detail than they have ever been able to in the past. Declining soil pH is often overlooked because symptoms do not appear, and crop yield does not significantly decline, until a soil pH threshold is reached. Once soil pH drops below the crop threshold, a very small difference in soil pH can result in a substantial yield decrease (Figure 3). This situation differs greatly from a slight nutrient deficiency, which might cause only a 10 or 15 percent yield reduction. When soil pH is a few tenths of a unit lower than a crop’s threshold, yield can decrease 50 percent or more. Jim Wilson, of SoilEssentials UK, talks to NZ Farmers about the huge paybacks from precision agriculture, starting with correcting the variability in soil pH. “The yield monitor cost more than my header but the results were amazing and very quickly it was clear the variation was caused by low pH. Accurately mapping the variability of my soil’s pH alongside rotational soil sampling enabled precise, variable rate lime applications”. This 6 hectare paddock showed a pH range of 5.4-6.2. This is typical of the pH variability we are seeing in New Zealand soils. Click here to check out the latest Guidance and Steer Command GPS equipment from AG LEADER. Not so long ago the thought of a machine that maps soil texture and organic matter while carrying out instant soil pH tests was the stuff of arable farmer fantasy. But four of Canterbury’s better known arable farmers have invested in just such a piece of equipment, a timely move in this increasingly regulatory environment of nutrient-use efficiency and nutrient management. 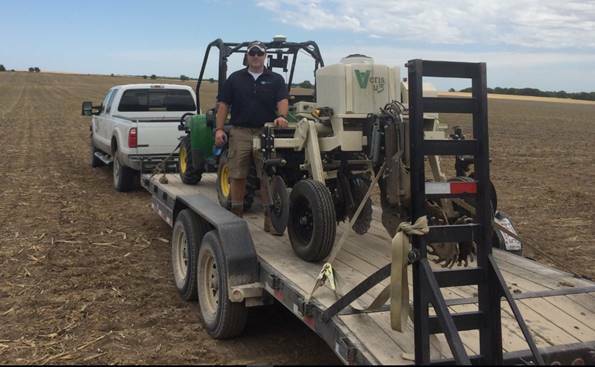 Nuffield scholar Michael Tayler had seen the Veris MSP3 – a machine that measures and maps three soil components in one pass – while on his scholarship travels and had been impressed. Back home, a conversation with three other arable farmers – Nick Ward, Hugh Wigley and Colin Hurst – ultimately led to the decision to invest in this piece of precision equipment. The four of them imported the machine and set up a company, SMART AG Solutions. Certainly the stars aligned when they employed Seaun Lovell to operate both the machine and the business. He had recently moved to New Zealand after a 22-year career in the British Army as a tactical ground-to-air communications specialist with the Joint Helicopter Force. An important basis for adequate liming is the recording of the soil pH. Several studies indicated a large heterogeneity of soil pH within fields. Recent technological improvements facilitate an on-the-go determination of the soil pH in a much higher sampling density compared to the conventional, time-consuming and costly laboratory method. The Veris Soil pH Sensor allows georeferenced on-the-go mapping of the soil pH. However, the Veris Soil pH Sensor and the widely accepted laboratory method differ in their measuring principles. Hence, it is necessary to adjust the results of the pH sensor to the results of the laboratory method. The economic potential of high resolution soil sampling strategies compared to the conventional soil sampling strategies is determined by four effects: the costs of applying the technology, the cost savings resulting from the reduction of over-fertilisation, the improved exploitation of phosphate (which will become plant-available due to small scale pH management) and the expected increase in yield (and thus revenues) resulting from a better lime distribution. A group of South Canterbury cropping farmers are taking soil sampling to a new level of precision with New Zealand’s first real-time soil sampler. Andrew Swallow reports. SEAUN LOVELL spent 22 years in the British Army calling in precision air strikes around the world. Now he’s deploying precision soil sampling techniques on New Zealand farms. 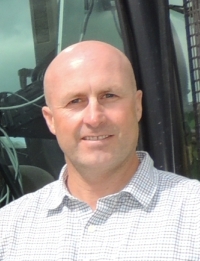 He’s been in the country a couple of years and was recently employed by four South Canterbury farmers to run start-up company Smart Ag Solutions and its state-of-the-art soil sampler, a Veris MSP3. 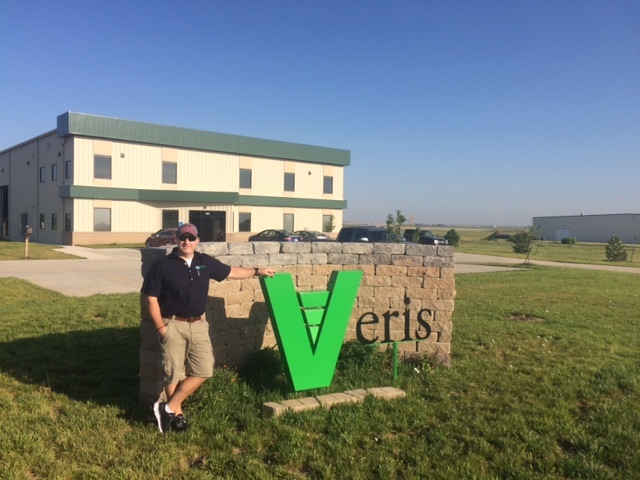 “The Veris will help farmers better understand their soils and where they need to apply more, or less, nutrients and irrigation. It’s another tool in the farmer’s armoury,” quips the former Royal Corps of Signals sergeant-major. His army role was tactical forward air controller. “That’s calling in fast jets, ground attack helicopters, artillery, etc,” he explains. Now he’s operations manager for Smart Ag Solutions and while he didn’t anticipate working in agriculture on leaving the army, his experience operating and maintaining high-tech military communications systems in rugged environments with little or no on-thespot support is ideal, say Smart Ag’s directors. He’s also picked up a feel for farm work on his wife’s family’s farm at Eiffelton, Mid Canterbury. Advanced soil mapping equipment imported from the United States is giving Kiwi farmers more details about their paddocks than they’ve ever had and promises new efficiencies in nutrient and water use. The Veris MSP3 measures soil texture, organic matter and soil pH to provide an exact picture of soil composition so that machinery can then be programmed to apply inputs precisely as required within the mapped paddocks, using variable rate technology. The result is more targeted, strategic use of fertiliser, lime and irrigation, less risk of environmental damage, better decision making and ultimately greater farm sustainability. Farmers are also being encouraged to bring along soil samples (quantity of a small spade) to the DairyCo-Eblex-BGS stand to discuss aspects of soil management with the experts. Soil texture and structure will be inspected and tests conducted looking at pH, nitrogen, phosphorus and potassium levels. It is also important farmers understand their soil structure. Good soil structure is vital for maintaining productive pastures, however, a recent survey across England and Wales has shown more than 70 per cent of grassland soils are exhibiting signs of soil compaction. A new generation of soil mapping technology is giving farmers insights into what lies beneath the surface of their paddocks. Four South Canterbury farmers have imported a Veris MSP3 machine from the United States that combines electrical conductivity (EC) mapping of paddocks for soil texture, infra-red measurement of organic matter and constant sampling for soil pH. The machine is towed behind a tractor and takes takes 20-25 ph samples per hectare; and 150-250 soil texture and organic matter samples per ha, feeding the data back to an on-board computer. Colin Hurst, who farms at Makikihi, in Waimate District said the end result was a precise picture of the soil’s composition. Traditionally, fertiliser, lime and irrigation are applied at one rate across a paddock or even block of paddocks, determined by the average pH or soil water holding capacity. The farmers established Smart Ag Solutions to offer the soil sampling. Components on the Veris include a sapphire window on an optic shoe that sends an infra-red beam 62cm into the soil to measure organic matter. The data is bounced back into the computer in the tractor cab. Discs beside the optic shoe carry electrodes that analyse soil texture up to 91cm down into the root zone.